Carrie Herrera was kind enough to have me create her branding for a fourth time! 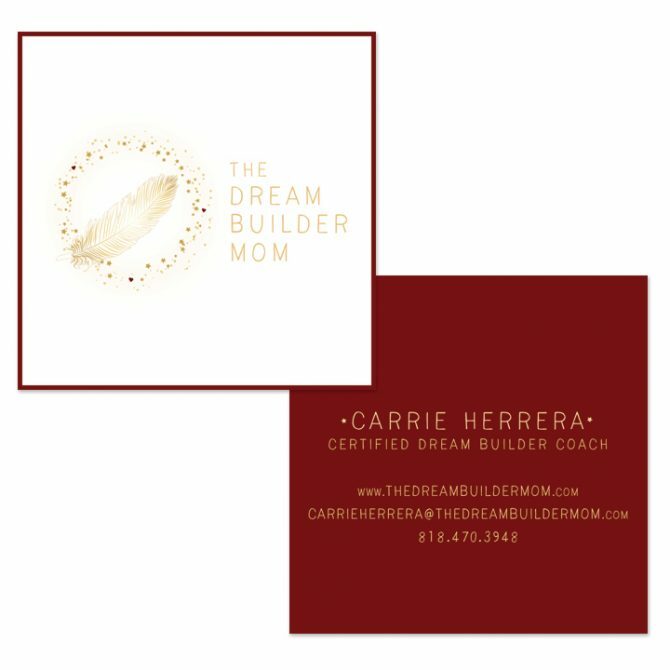 This time, we sat down and created a logo and business cards for The Dream Builder Mom. This carries over the same oxblood color from previous logos, as well as three hearts – one of which has been subtly present in all of her brands. I’m excited to see what she does with this new calling!